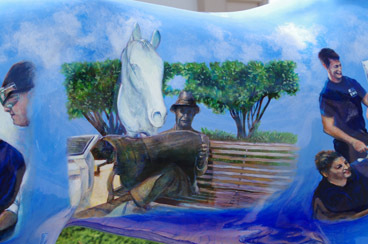 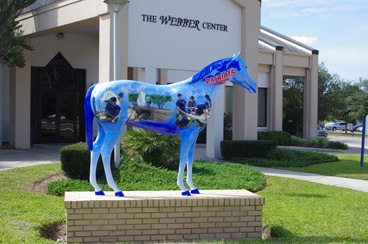 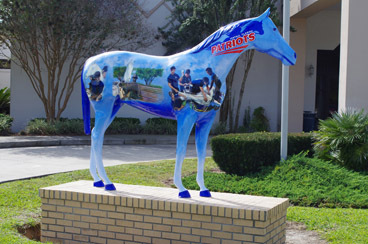 This painted horse form was created for the campus of the College of Central Florida in Ocala, Florida. 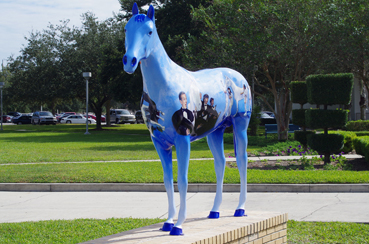 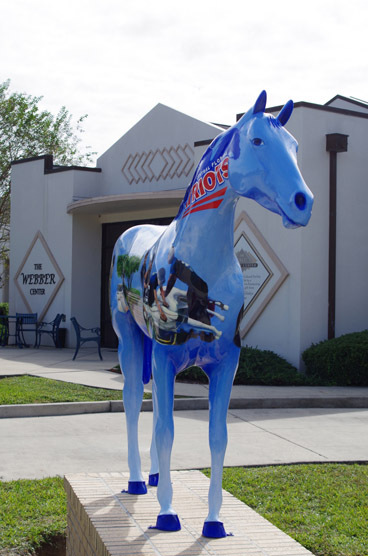 It is related to, but not specifically part of, the Marion Cultural Alliance Horse Fever projects which have charged artists with painting fiberglass horse forms that now adorn many areas thoughout Ocala. 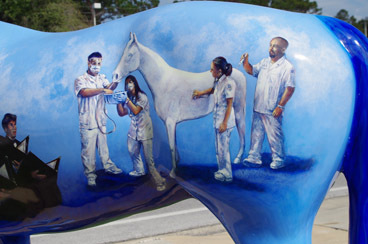 Tyrus and his painting students at the college worked on the horse during 2012 and 2013 and the horse was eventually installed on the campus, outside of the Webber Center Gallery, in the fall of 2013. 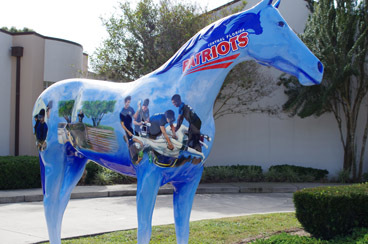 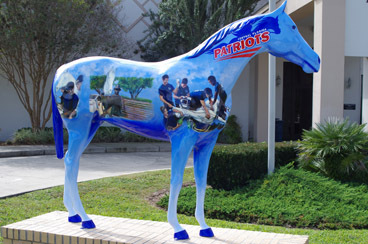 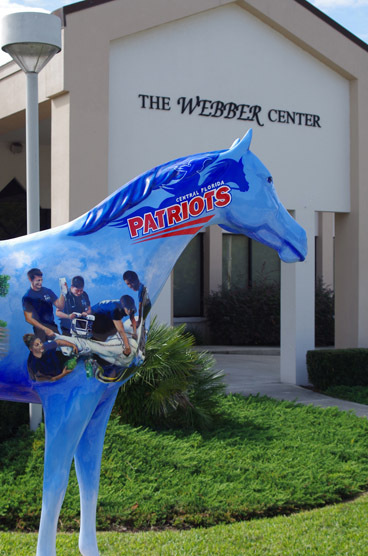 The imagery on the horse includes the college's "patriot" logo as well as images of the unpainted horse interacting with students from throughout campus before he gained his coats of paint.